– I feel Tokido-san doesn't ease up. Red Bull: You said Tokido helped you build your strategy against Ryu for Red Bull 5G at the end of last year. Could you please tell your impression of him? Gachikun: It's like "he's from the University of Tokyo indeed(†)." I mean, he's smart, it's typical though. † The most prestigious and highest-ranked university in Japan. 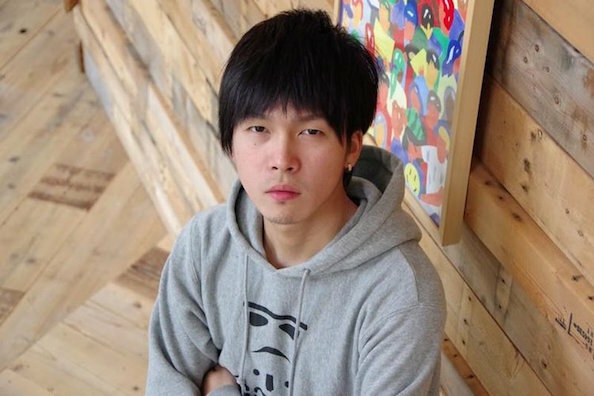 Tokido is an alumnus of the university, but dropped out of the graduate school to be a pro gamer. Red Bull: What makes you feel so in terms of playing? Gachikun: For instance, he's good at finding like routines such as setups. In addition to it, he has options to properly counter reactions to those. Red Bull: You mean he's good at dragging the opponent into situations he knows well. Gachikun: Aside from it, he takes risky options, as controlling the opponent. It's great, I think. Moreover, he moves very beautifully. Red Bull: What do you mean? Gachikun: Even when checking replays, I would find he plays smoothly, not awkwardly at all. I have the image that he plays in a fashion that makes me sort of breath a sigh of admiration like "it's perfect," after seeing the whole match. Red Bull: You mean he makes no unnecessary moves? Gachikun: Yes. He's like Ichiro Suzuki(††) to baseball. Good at opposite field hits as well as bunts. I feel he doesn't steamroll with his power, but rather trap by logics. †† A Japanese MLB player famous for his records, intelligence and discipline. He's arguably a hero to Japanese baseball players and fans. Red Bull: You mean he's cerebral. Does he has any other points that make you think he's great? Gachikun: He gets himself in shape so seriously that I'm amazed. Red Bull: Bonchan said he was also on a low carb diet. Gachikun: I'm so slim and simply think mascular men wearing a T-shirt tightly are great. He doesn't train only gaming abilities, but also other abilities including mind. Of course, he does those for games. I feel he doesn't ease up. Red Bull: You feel like he's disciplined? Gachikun: I've heard that you can reduce your tension in a tournament by getting yourself in shape. I'm kind of weak, I mean, I get a cold easily, so I'm thinking of taking a cue from Tokido-san and working out haha. Red Bull: Could you please tell me your impression of Tokido relating to other than games. Gachikun: He sometimes says sophisticated words, and speaks in a way that you can catch his words very easily. And I feel he talks to himself a lot. Red Bull: What is it like? Gachikun: As if he talks to someone. For instance, He murmurs findings from seeing a video aloud to himself. Maybe, he digest it by speaking it aloud. Red Bull: Like, questioning himself. Gachikun: I think it's his habit. When working prepping for college entrance exams, he may have been murmuring for memorization as well.